Half-price sushi every day for dining in or carry out. Welcome to the new Dancing roll website! up to date rolls and mobile friendly. Here at Dancing Roll we provide you with the freshest ingredients in a hip atmosphere. The sushi is always half-priced dine-in or carry out. Monday - Friday we have a great lunch special which includes miso soup and side salad from 11:00 - 2:30 *side salad for dine-in only. We provide options for non-sushi diners also. Try our house marinated korean beef bulgogi. Hours change at West chester now open Sunday from 11:30AM-10pm. 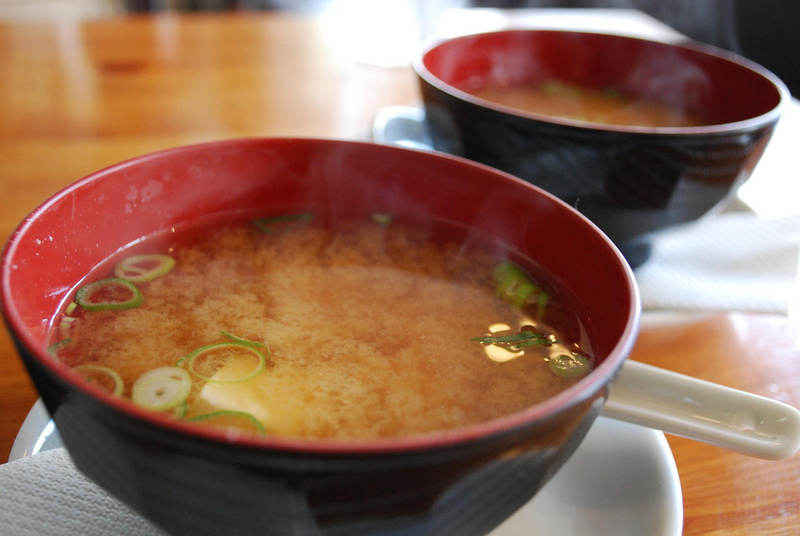 Enjoy a cup of hot miso soup on the house with any dine-in order. Start off your meal with some crispy gyoza or our famous house salad made with orgranic greens and topped with homemade ginger dressing.